Check out a behind-the-scenes look of the work our FOX Sports U students at University of Iowa did to develop a 360-degree B2B Marketing and Alignment strategy for Home Team Sports. The winning team got the opportunity to travel to Chicago got to tour Home Team Sports and Big-10 Network offices and network with executives! Hailey Wishne is from Geneva, Illinois with an Associate’s in Business Administrations from Waubonsee Community College. Hailey transferred as a junior to the University of Iowa and is currently a senior Marketing major at the Tippie College of Business. She is finishing up her Bachelor’s in Business Administrations. She has taken an interest in Sales and Event Planning and is looking for career opportunities in Chicago, Illinois once she graduates this upcoming May. She has a strong bond with her family and wishes to stay as close to them as she can. With this being her last year at Iowa, Hailey plans on not only getting down to business with her course load but also enjoying the many recreational activities you can only find in beautiful Iowa City. As if being offered a spot in the Marketing Institute was amazing enough, I was beyond excited to find out we were teaming up with Fox Sports. I couldn’t have asked for a better group of individuals to work with. Craig Sloan and Molly Stires were so ambitious and helpful with the process. They were open to our ideas and really took the time to listen and understand. It felt so empowering to take what I have learned so far in school and apply it to such a great organization. It strengthened their program as well as me as a student and a professional. Taylor is a current senior at the University of Iowa, Tippie College of Business double majoring in Business Analytics and Marketing. Taylor plans to start her career off in downtown Chicago! She has plans to take a full time job with her current internship but is also looking at other opportunities for her future career. She has interests in consulting and data analytics. She loves the idea of helping and working with people. Taylor loves cooking and working out. She also enjoys traveling after studying abroad in Italy for 3 months. Fox Sports U is a unique opportunity to have! Not many students are able to work with clients on real business problems during their time at school! Ariana Smith is a senior at the University of Iowa, double majoring in entrepreneurial management and marketing with a minor in psychology. She currently plans on taking a position in a marketing firm outside of the Midwest and applying for MBA programs. Her career interests currently include opening up her own businesses, most likely in marketing related fields. Her personal interests include sports (both playing and watching), reading, traveling, and spending time with her loved ones. Walking into the Big Ten Network offices was an incredible ‘I have arrived’ moment for me where I realized I had the capability to do great things that would take me places. Having the opportunity to speak with the Home Team Sports group about my ideas showed me that my efforts in the classroom have real world applications that align well with my future desires. Working with Fox Sports University showed me that the path I am on is the right choice for me and that information is something I will forever be grateful for. Ashley Arkfeld is a senior at the University of Iowa, majoring in Business Analytics & Information Systems as well as Marketing. Her career interests include marketing analytics, consulting, and data mining. After graduation, she plans to move to Des Moines, IA where she has accepted a position in the IT Risk Advisory practice at Ernst & Young, LLP. 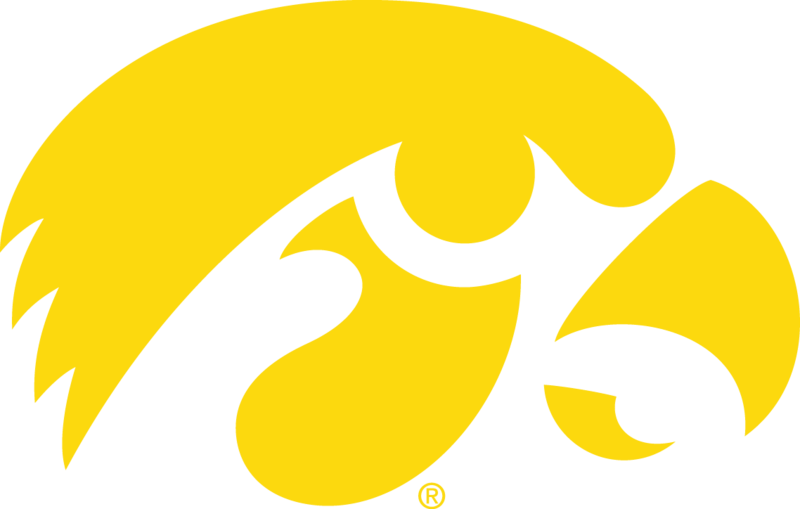 Marketing Institute students at University of Iowa were challenged to create a 360-degree B2B Marketing and Alignment strategy for Home Team Sports, a sales division of FOX Sports. A veteran of consumer packaged goods, Peggy Stover brings a wealth of corporate experience to the University of Iowa as a Lecturer and Director of the Marketing Institute. She has a 23 year consumer packaged goods background in marketing, sales and market research at Fortune 500 companies that include Kellogg’s, Kraft Foods, SC Johnson Wax and Coors Brewing. Peggy also served as a Visiting Assistant Professor of Marketing at the University of Dubuque. Peggy has an MPS in Organizational Leadership & Innovation from the University of Denver and a BBA with majors in Finance & Marketing from St. Mary’s University. Peggy has authored and published numerous articles and industry white research papers on consumer and industry trends. In 2008 she was awarded Progressive Grocer Magazine “2008 Rising Star” for her achievements in the CPG industry. Lastly, she was awarded a US Design Patent for a removable jar lid for Soy Basics, LLC., and Anchor Hocking. Peggy Stover is also president and co-founder of Annex Analytics, a group that helps organizations transform their sales, marketing, and business data into actionable insights and revenue opportunities.